It was a nice sunny October. Pyrros and me were enjoying our time on Lefkada island after the hard summer work. 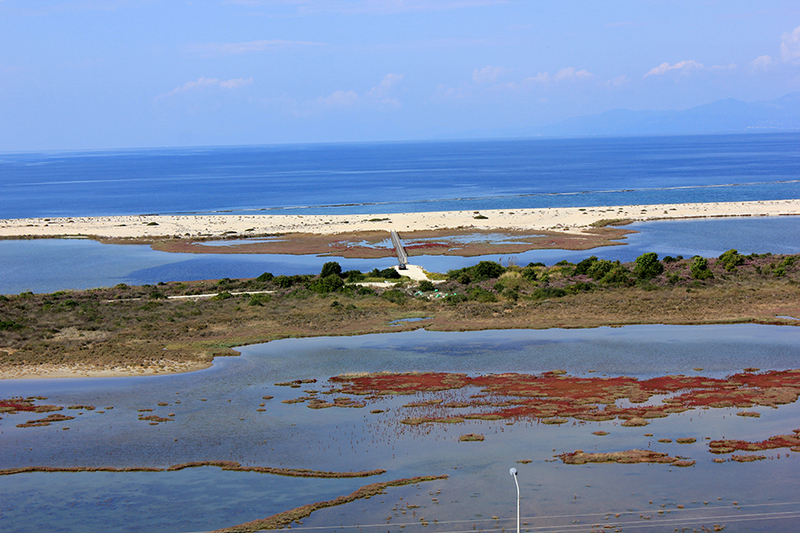 And yes, we were amazed how island was so green compering to other Ionian islands. 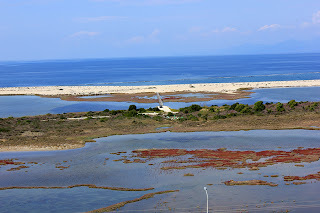 But this is not story about Lefkada, I am gonna write about the island some other time. This is a short story about forgotten fortress of Grivas. 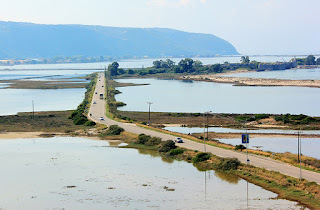 We were in the car, driving to the mainland and saying "goodbye" to Lefkada with a promise that we will come back one day. Just in front of us, next to the lake, on our way, we saw rocky hill and fortress was standing on it. 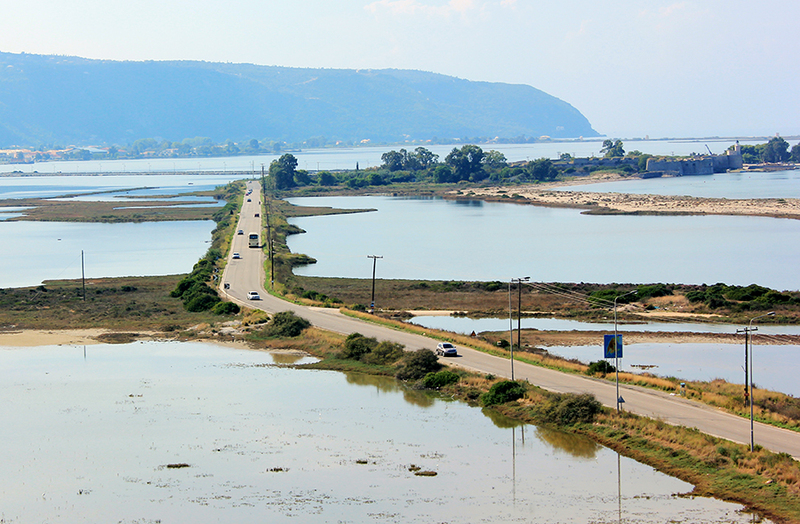 The road was not busy and we hoped it is gonna be like that all the way to Athens as we planed to reach it before the late night. 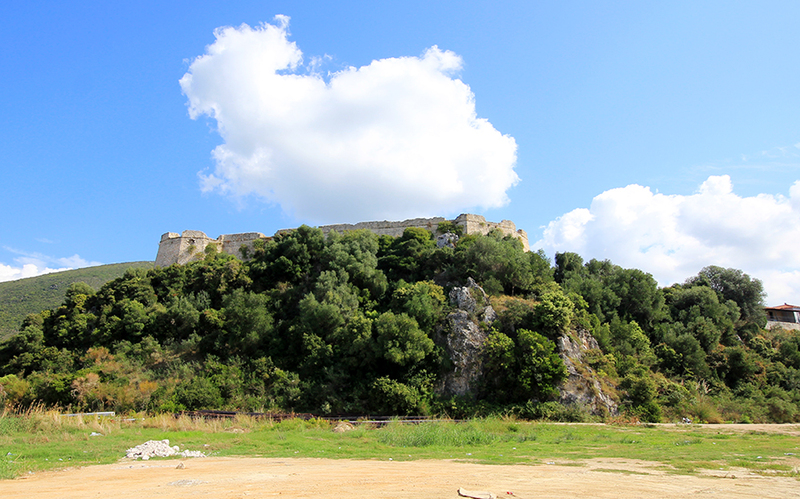 We parked on the side and started to climb up the hill until we reached the entrance of the fort. 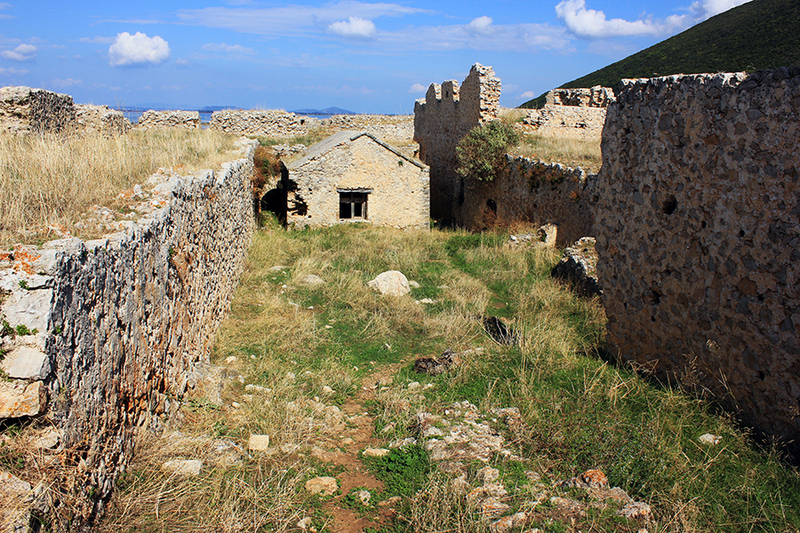 There was no information or anything to say more about the fort so we were guessing: "For sure it was Turkish" Pyrros said. We entered the castle and it was so abandoned. I could not believe that Ministry of Culture and Monuments or who else couldn't pay men to just cut the grass in side and out side, if country does not have money to do more. Lazy Greeks! We came up to the Western wall. 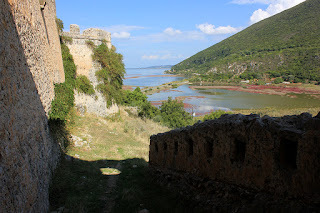 From there we could see a very clear views of the causeway to Lefkada and the castle of Santa Maura, towards city of Prevesa in the north, and southwest - fortifications of Nea Plagia that we visited straight after. The gateway was on the east. We were sitting on the fortress wall few minutes, enjoying the fascinating view and decided to visit the other castle in Plagia village. "It was built by Ali Pasha. However it has been suggested that a monastery stood on the site, and the bases of some of the towers seem to be of an older (circular) construction of rough rubble, so perhaps there was an older fortification here. A fortification is shown on a map of 1830. 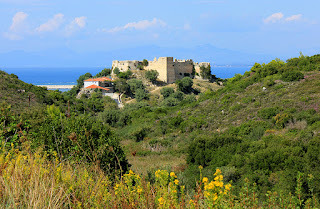 I assume from the name that the Grivas family, prominent in the area in the 18/19th centuries, have a connection with the castle. 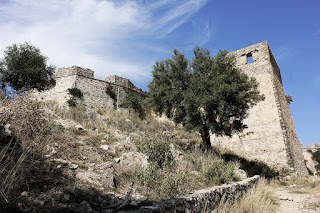 The W. and N. sides of the castle are protected by water; the gate can only be approached from the N., with the castle wall on your right (unshielded) side, and with the possibilities of support from other troops limited by the surrounding water." We left this fort and took the southwest road to Plagia village. On a 500m at the same road up to the village I made this last photo.